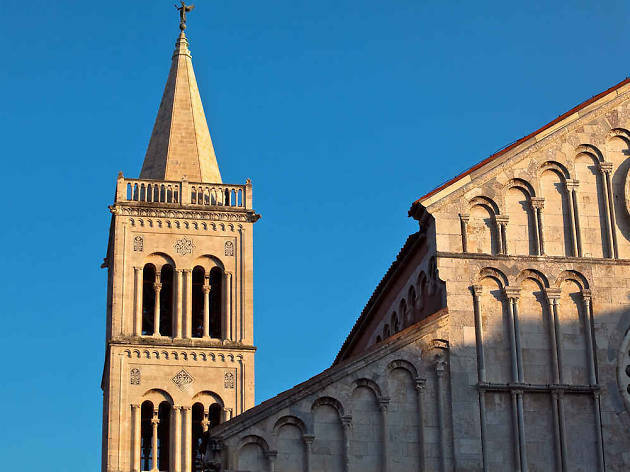 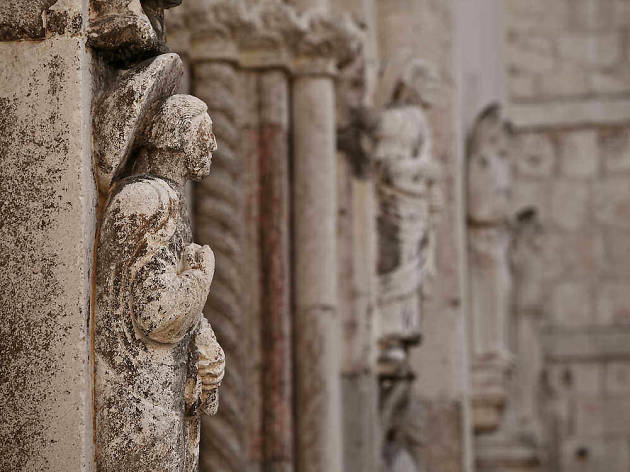 The Cathedral of St Anastasia (Katedrala Sv Stošije), beside St Donat’s, is the largest cathedral in the whole of Dalmatia and was built in late Romanesque style during the 12th and 13th centuries. 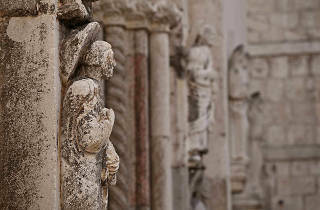 Decorative friezes and delicate stonework depict birds, animals and religious figures, although many visitors enter just to be able to climb the bell tower for the fabulous view of Zadar. 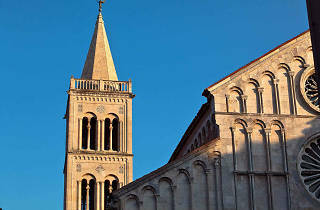 The campanile, partially built in the second half of the 15th century, was completed in 1894 to the design of English architect TG Jackson.